4 Bedroom Terraced House For Sale in Sheffield for £299,950. 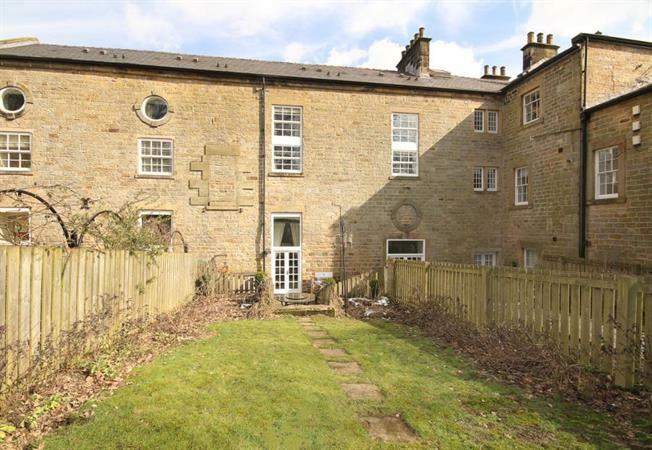 An internal inspection is absolutely essential to appreciate the size and standard of accommodation on offer in this stunning 4 Bedroomed Mews conversion. Situated on the edge of beautiful countryside in this sought after residential suburb. Being located within a courtyard on the exclusive grade ii listed, gated, Loxley House development. The property was sympathetically converted by a local builder in 2007 at the rear of historic Loxley House dating back to 1826. Approached by a private driveway with 2 acres of landscaped private grounds with stunning views. Offering flexible, spacious accommodation over three levels, with the benefit of double glazing, GCH, paved forecourt, enclosed rear garden and allocated parking, the property has been upgraded by the current owners throughout to a high standard, retaining many beautiful features including Georgian style windows, barrel vaulted lounge and kitchen ceilings and exposed beams. Ideally located for superb amenities including local shops and supermarkets, well regarded local school catchment, access to walks on nearby Wadsley Common and surrounding countryside in the Loxley Valley and Bradfield Dale. Access to primary hospitals includes the Royal Hallamshire 4.1 miles, Northern General 3.4 miles and Sheffield City Centre just 4.3 miles away. The accommodation comprises a stunning Kitchen and Dining area to the front, fitted with an excellent range of base and wall units in a modern contemporary style with contrasting granite effect work surfacing and full complement of integrated appliances. An inner hallway has staircase to the first floor and downstairs WC/cloakroom. The stunning lounge has a feature barrel vaulted ceiling with a pair of Georgian style French doors opening to the gardens. On the first floor, the second reception room provides flexible accommodation as fourth double bedroom or formal sitting room with feature fireplace. Double bedroom three has a window overlooking the courtyard and over the landscaped grounds. The family bathroom has modern three piece suite comprising WC, wash basin and bath with shower over and screen. On the second floor, the spacious Master Bedroom has window to the front and carpeting throughout with ensuite shower room, having WC, wash basin and recessed shower, with tiled splash backs and feature tiled wall. Double bedroom two is another spacious room with rear facing window with aspect over the garden and woodland with a recessed wardrobe. To the exterior of the property, the development is set atop a private gated driveway with intercom., leading to allocated and visitor parking. The property has a stone flagged forecourt with surrounding balustrade to the front. To the rear is a garden with patio and lawn providing an excellent outdoor seating, entertaining and play area. An early viewing is recommended in this much sought after location.